Will your client qualify for an IR35 chat with HMRC if caught? ‘Oh I do like to be beside the BBC.’ That’s the statement contractors might imagine they hear those BBC presenters who have IR35 liabilities utter, if the BBC’s hoped-for IR35 settlement comes to pass, writes Graham Webber, director of tax dispute specialists WTT Consulting. Indeed, it is intriguing to me – but probably galling for the average PSC -- that the BBC in a contractual relationship for commercial purposes with PSC-using presenters, is even allowed to discuss the tax consequences with HMRC. Wouldn’t it be nice if your end-user also could have a chat with the taxman to come to some sort of IR35 deal, about what you should pay for getting caught inside the regulations? 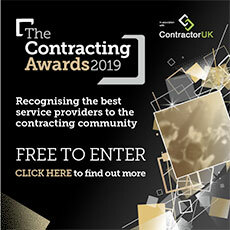 We believe it is unprecedented for an entity which has a commercial contract with a contractor to be permitted to speak to HMRC about the tax consequences -- post the event. Plenty of firms ask HMRC about contracts before they begin, (often getting no sensible answer), but to do so many years down the track is unheard of. And there is no obvious reasoning, other than that there is reputational and/or political pressure, as to why HMRC is even allowing such meetings, let alone allowing mention of them. If, though, these meetings are happening as the BBC's director-general Lord Tony Hall says, then why should RBS, the NHS, the civil service, Network Rail and countless other publicly-owned bodies not be allowed to enter such discussions with HMRC? The other point not to miss is that, usually, when HMRC gets difficult questions about its behind-the-scenes settlements, it's not long before we hear the ‘taxpayer confidentiality’ argument. This is trotted out again and again by HMRC as a means of being able to ignore valid enquiry. And yet in his evidence given to the Digital, Culture, Media and Sport Committee on 11th September, Lord Hall repeated several times that what’s afoot is the BBC dealing directly with HMRC to find an answer to its presenters unresolved IR35 liabilities. It wasn’t the only bit of repetition that was heard by the committee however. Lord Hall was asked -- twice -- "where the BBC clearly has a degree of culpability for that person being required to set up a PSC", if compensation would be paid to the individual. Lord Hall refused to answer that direct question, instead preferring to say that each case was different and that “our objective is to try to resolve that with HMRC”. It was DCMS chair Damian Collins MP who was asked (and persisted with) the question. But credit must also go to the asker of question 88, Ian Lucas MP (Labour, Wrexham). He asked Lord Hall, flanked by BBC deputy director-general Anne Bulford, if the "decision to move to that model" was considered by the BBC board. "That model" is the alleged forcing, by the BBC, of some presenters to use a PSC, rather than be an employee. Viewers of the session can immediately sense the squirming that was going on from the responses, and the attempt to kick it into the long grass by asking the committee to wait until a report by the National Audit Office "later this autumn". Yet the BBC clearly considers that some 3,000 people at the BBC (according to Lord Hall’s evidence to the committee), may be in the situation of having been required to use the PSC model, and who are now in the sights of HMRC as they launch IR35 status reviews. HMRC will be emboldened by their success in the Christa Ackroyd case to date, although I understand that an appeal is being made. The issue at the heart of the dispute is whether BBC presenters and others were within or without the terms of IR35. While space does not permit a review of that Gordian Knot, suffice to say that the Ackroyd case, being that rare example of an HMRC victory in this space, is perhaps seen as opening up the 3,000 people above, to retrospective liability. Is that fair to them? Is that fair to the rest of us taxpayers if each of those 3,000 use their rights to make extracting money from them as difficult and expensive for HMRC as possible? Is it fair that if eventually there is a liability established, those 3,000 sue the BBC and we licence payers, pick up the tab? And is it fair that a chinwag can be had between big-name client and taxman to come up with an appropriate figure to call off the IR35 enquiries? The answer to all these questions is ‘No.’ It's not fair especially if HMRC and the BBC are allowed to arrive at a cosy arrangement when the process the BBC went through to force presenters into PSCs is not different to that adopted by companies engaging contractors for the last 20 years. If the BBC is liable for the tax costs of decisions made to engage contractors, why should the banks, insurance companies, software houses, engineering firms not also be liable? And if the BBC can have these informal talks to come up with a figure that cancels the IR35 investigations, why can’t these organisations as well? Why especially, should the civil service not be responsible for the tax of contractors they forced to work that way -- with HMRC being themselves a major player? Taxpayers -- us who fund the BBC, HMRC and the civil service at large, should ready a very large postcard for our answers and send it to our MPs. This whole situation threatens to be a destabilising event for the contracting sector. It will be even more de-stabilising if the April 2017 IR35 reforms are extended to this backdrop of one rule for ‘us’ – the standard taxpayers, PSCs and organisations, and another for ‘them’ -- the BBCs of this world and who else knows.